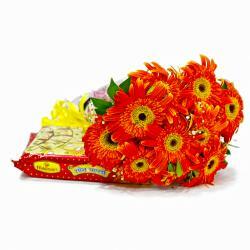 This Gift Hamper which consists bouquet of ten orange gerberas and each of the buds is selected carefully by our specialized florist which arranged artistically and gives extraordinary look. 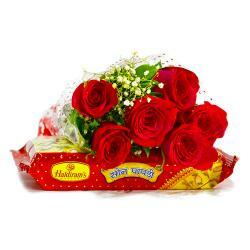 This fabulous bouquet comprised with sweetness of rasgullas is a perfect combination to make anyone happy. 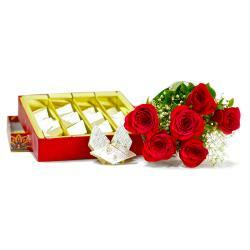 Gift this hampers to your loved ones in India and gets appreciated by them and by reviving their mood on special occasions like Birthday, Anniversary, Mothers Day, Best Wishes, Teachers Day, Missing You and many more. 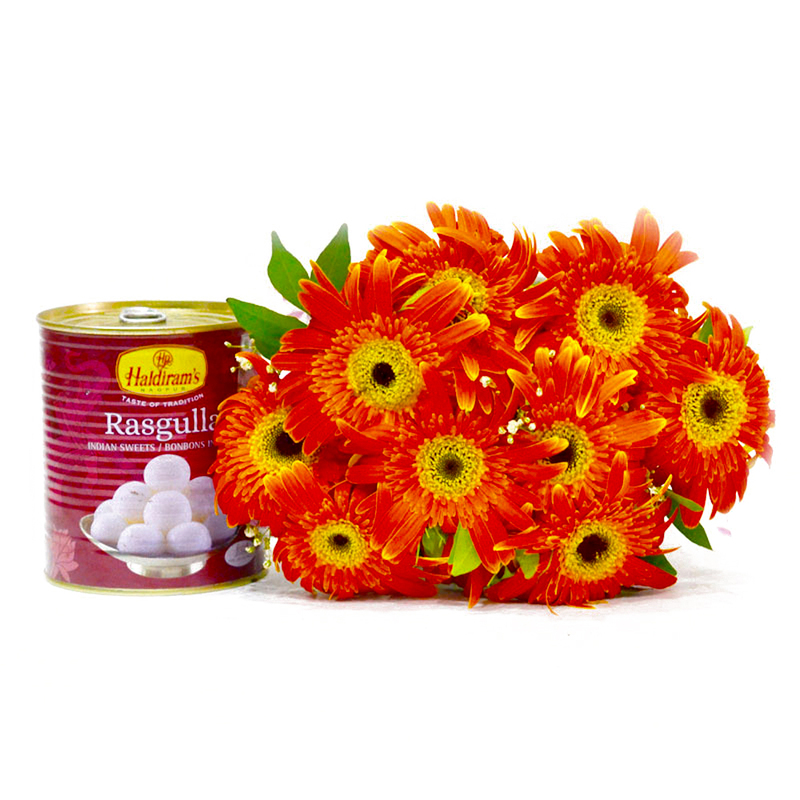 This gift hamper contains : Bouquet of 10 Orange Gerberas along with Pack of Rasgulla (Weight : 1 kg).